In the year since his most significant victory, Alex Beach has reached new heights. Shortly after the 28-year-old won the New Jersey PGA Championship at Plainfield Country Club last year with a final round 69 that propelled him to a two-stroke victory, he ended his season with his second Fall Finale at Mountain Ridge Country Club and earned honors as the OMEGA Player of the Year. The peak of that journey came last month at Quail Hollow Club when he competed in his first PGA Championship. Beach earned a spot in the field by finishing inside the top 20 at the PGA Professional Championship at Sunriver Resort in Oregon in June. Since 1928, 12 players have successfully defended their Section Championship title. Beach says that he is confident in his game to defend at Mountain Ridge, where he won the Fall Finale in 2015 and 2016. Another player expected to contend at Mountain Ridge is Frank Esposito of Forsgate Country Club, who has won this event a record five times. Esposito, 54, won two of his five Section Championships when it was hosted here in 2007 and 2009. Len Siter, the PGA Head Professional at Mountain Ridge who had a runner-up finish at the New Jersey PGA Senior Championship at Suburban Golf Club in August, hopes to continue his play this season. The top 11 finishers will be exempt for the PGA Professional Championship presented by Club Car and OMEGA at Bayonet Black Course in Seaside, California. Beach is already exempt into next year’s event. What were the most recent changes on the 7th hole? What are your favorite holes on this course? What are your thoughts on the first hole and some other scoring holes for this championship? On behalf of the membership of Mountain Ridge Country Club, we are pleased to welcome you to the 2017 New Jersey PGA Professional Championship. Mountain Ridge has a long tradition of supporting golf in the New Jersey Section as well as hosting local, state and national events. We are proud to host this year’s biggest competition and showcase the abundant talent in our Section. Our Donald Ross course is consistently regarded as one of the top courses in New Jersey and a classic example of Ross’s style. Restoration of the original Ross design has been overseen by architect Ron Prichard and was celebrated at the club’s centennial anniversary with the staging of the 2012 USGA Senior Amateur. Green Superintendent Cliff Moore and his staff have worked tirelessly to maintain our course and provide outstanding conditions for this tournament. The golf staff continues to provide an incomparable experience for the membership and a leadership role in the New Jersey golf community. I’d like to extend a special thanks to the Mountain Ridge membership for graciously donating the course for this week in hopes of providing a great venue for exceptional competition. These Section Professionals will be competing for 11 spots in the 2018 PGA Professional Championship at Bayonet Black Horse in Seaside, California, June 17-20, 2018. 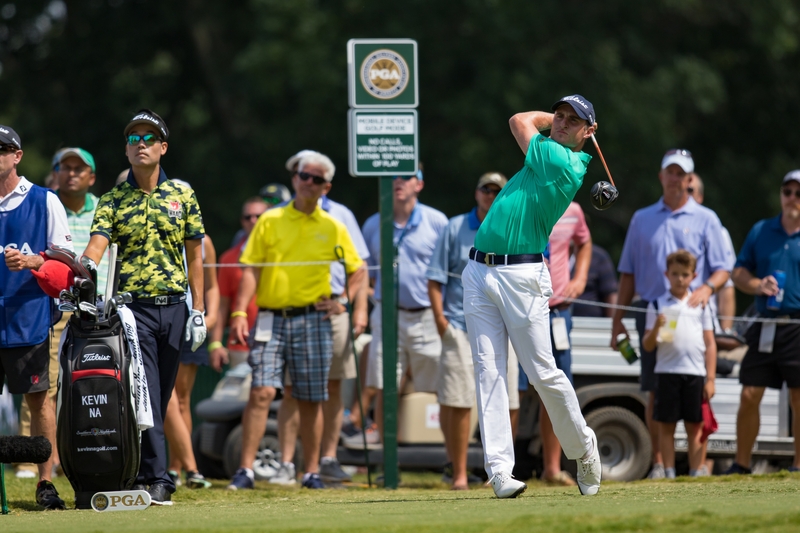 There, players will be vying for one of 20 coveted spots in the 2018 PGA Championship to be held at the Bellerive Country Club in St. Louis, Missouri. Mercedes-Benz USA, OMEGA, Titleist/FootJoy, TaylorMade/Adidas, Golf Advisor and the PGA Tour. I wish all the competitors the best of luck in this year’s NJPGA Championship and look forward to serving as your host PGA Professional.